Sen. Chuck Grassley and his staff refuse to answer any questions or give a statement to the media regarding the documented fact that the senator was actively involved in what is now being called the "Plamegate cover-up". 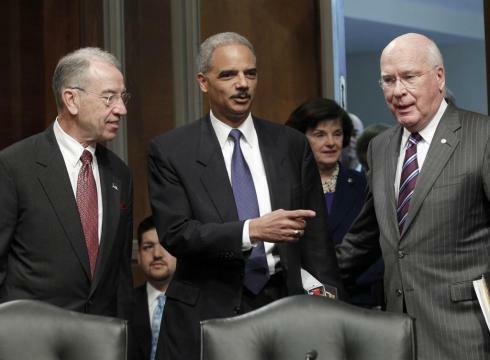 Sen. Grassley's investigation into "Fast and Furious" is in the civil courts, in an attempt to get information. So, an investigation into the deaths of Border Patrol agent Brian Terry, Immigration and Customs agent Jaime Zapata, and an untold number of Mexican citizens is now in civil court. Really? Congressman Darrell Issa was only putting on a show for us in the Congressional Oversight Committee hearings. And, that he always intended to bury this scandal. Brian Terry, Jaime Zapata and their families deserve better. And, We the People are going to insist they get better.